Obesity is associated with poor survival after breast cancer diagnosis in individual studies and meta-analyses. 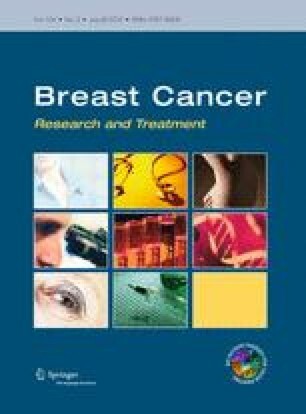 Evidence regarding associations of obesity with breast cancer-specific survival (BCSS) and overall survival (OS) in relation to hormone receptor status, or BCSS in relation to menopausal status has not been evaluated in a previous meta-analysis. In this study, we conducted a meta-analysis of the association of obesity with OS and BCSS in relation to hormone receptor status and menopausal status. MEDLINE, EMBASE, and COCHRANE databases from the first record to December 2011 and presentations made at major international meetings in the last 5 years were searched. We included observational or interventional studies reporting hazard ratios (HRs) of obesity with OS and/or BCSS in relation to hormone receptor and/or menopausal status. Twenty-one studies qualified, meeting the above criteria. The pooled HR for OS in heavier versus lighter women was 1.31 (95 % CI 1.17–1.46) for estrogen receptor/progesterone receptor (ER/PgR) positive cancers; 1.18 (95 % CI 1.06–1.31) for ER/PgR negative cancers; and the difference between the two groups was not significant (p = 0.31). The pooled HR for OS in heavier versus lighter women was 1.23 (95 % CI 1.07–1.42) for premenopausal women and 1.15 (95 % CI 1.06–1.26) for post-menopausal women, and the difference between the two groups was not significant (p = 0.57). Comparable pooled HRs for BCSS were 1.36 (95 % CI 1.20–1.54) for ER/PgR positive cancers and 1.46 (95 % CI 0.98–2.19) for ER/PgR negative cancers; and 1.18 (95 % CI 0.82–1.70) for pre-menopausal women and 1.38 (95 % CI 1.11–1.71) for post-menopausal women, also without significant group differences. Results were similar after adjustment for BMI measurement technique, years of follow-up, or study design. These findings led us to conclude that there is no evidence showing that the association of obesity with breast cancer outcome differs by hormone receptor or menopausal status. This has implications for studies of weight loss interventions in the adjuvant BC setting. We would like to thank Drs. Prakesh Shah and Joseph Beyene at University of Toronto for their valuable suggestions during preparation of this manuscript. This is to confirm that none of the authors of the above manuscript have conflict of interest of any kind which may arise from being named as an author on the manuscript. It is to certify that (i) all financial support or benefits received by me, by any member of my immediate family, or any individual or entity with whom or with which I have a significant relationship from any commercial source related directly or indirectly to the scientific work reported in the article have been disclosed and have been included in the submitted manuscript, (II) neither I, nor any member of my immediate family, nor any individual or entity with whom or with which I have a significant relationship has a financial interest in the subject matter discussed in the manuscript, except as disclosed (I understand an example of such a financial interest would be a stock interest in any business entity which is included in the subject matter of the manuscript or which sells a product relating to the subject matter of the manuscript. ), (III) all funding sources supporting the work and all institutional or corporate affiliations are acknowledged in a footnote, and (Iv) I have had full access to all the data in the study (if applicable) and thereby accept full responsibility for the integrity of the data and the accuracy of the data analysis.